This is a sweet little dress in black with contrasting deep red sleeve. There is plenty of stretch in the soft fabric. 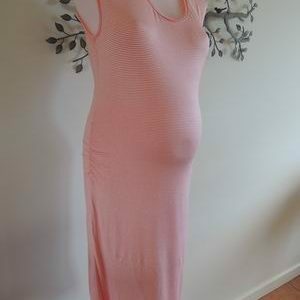 The dress features soft elastic that sits above your baby bump. It is new with tags by Ninth Moon. Be the first to review “NEW Black Tunic Maternity Dress with Contrast Sleeve” Click here to cancel reply.